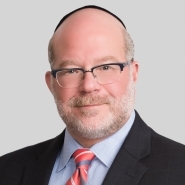 Jay Levine, a partner in Porter Wright's antitrust practice, was interviewed for the article, "AstraZeneca, Teva and Nexium direct purchaser plaintiffs to re-argue alleged illegal 'reverse payment' in Boston federal court," published in the April 3, 2014 edition of the Policy and Regulatory Report, part of the Financial Times Group. ... "An antitrust attorney who practices in this area but is not involved in this case said that without a written opinion, it is hard to tell what the court is doing. "Another lawyer, Jay Levine, said that one may be able to work out what the court was thinking only by 'speculating backward' after Young issues a written opinion.